Home › Alyna Chien, M.D., M.S. 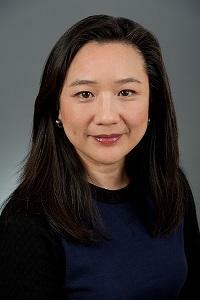 Alyna Chien, M.D., M.S., is an assistant professor of pediatrics at Harvard Medical School and a practicing pediatrician at Boston Children’s Hospital. Her research focuses on the effectiveness of performance incentives such as pay-for-performance and public reporting, and the extent to which these incentives can improve quality of care and help eliminate health care disparities. She is also interested in any unintended consequences associated with these incentives. Dr. Chien is especially committed to improving care delivery for vulnerable populations, such as those who are socioeconomically disadvantaged, racial/ethnic minorities, children, and those with disabilities. Dr. Chien holds a degree in medicine, a M.S. in human nutrition and nutritional biology, and a M.S. in health studies from the University of Chicago, where she also completed a residency in pediatrics. From 2004 to 2006, Dr. Chien was a fellow in the Robert Wood Johnson Foundation Clinical Scholars Program. She is a member of AcademyHealth, the Academic Pediatrics Association, and a fellow with the American Academy of Pediatrics. Dr. Chien is the principal investigator for one of six grants supported by the Robert Wood Johnson Foundation exploring the use and impact of price data in health care. In her study, Dr. Chien and her colleagues are evaluating the impact of a physician-targeted price transparency program on physicians’ test ordering rates, care quality, and use of price information in clinical decision-making and conversations with patients. As part of the researchers’ randomized controlled study, physicians at a large multispecialty group practice receive alternate versions of price information for outpatient procedures and imaging tests. This information is delivered via the practice’s electronic health record at the time of test ordering and is not available to physicians in the control arm. Following the intervention, the researchers will conduct semi-structured interviews with randomly-selected physicians from each study arm in order to assess physicians’ knowledge, attitudes, beliefs and values about having price information, as well as their experience using this information when making decisions. The goal of the project is to inform future health policy efforts aimed at engaging physicians to act as stewards of health care resources. Additional information about Dr. Chien’s price transparency study is available here.